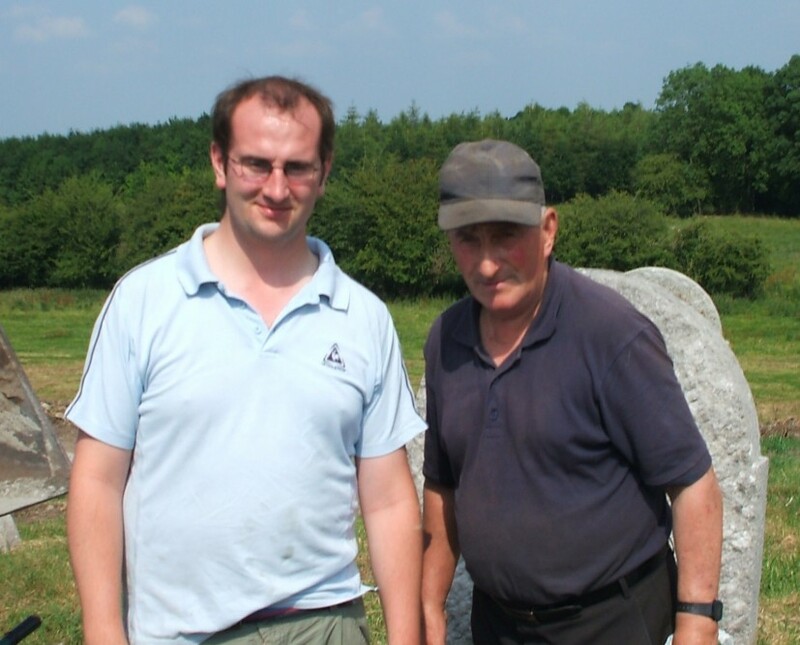 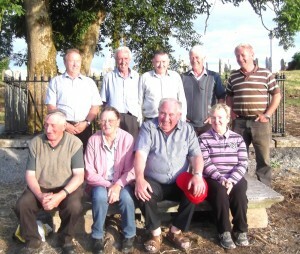 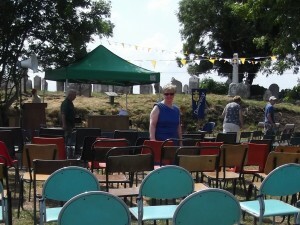 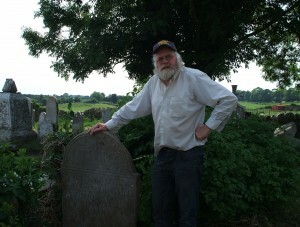 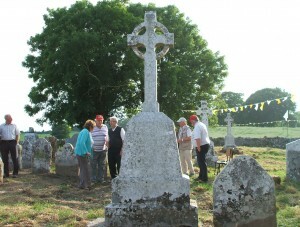 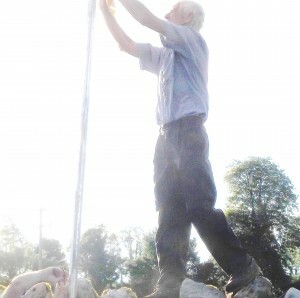 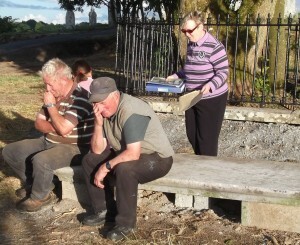 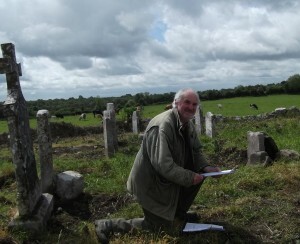 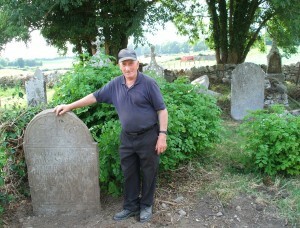 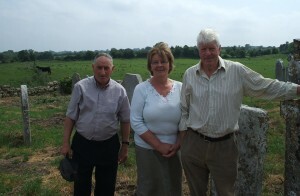 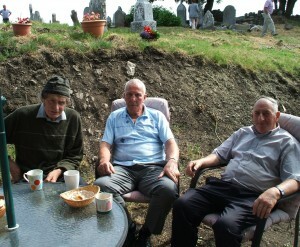 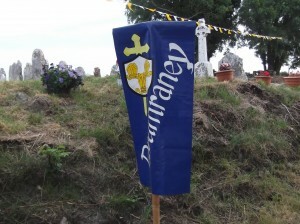 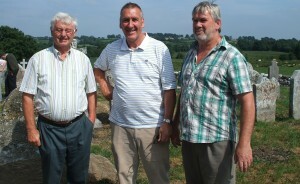 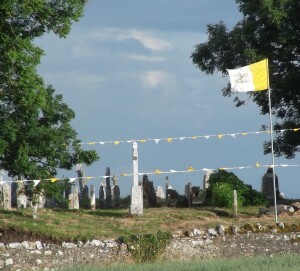 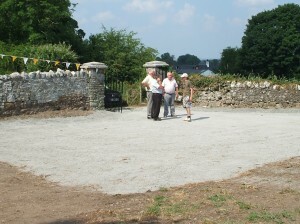 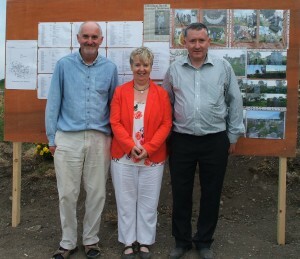 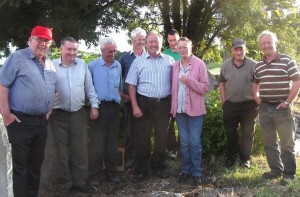 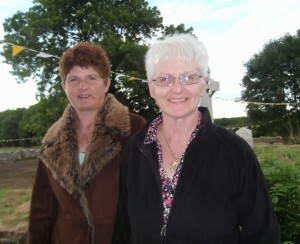 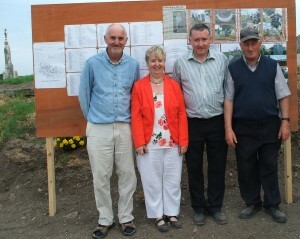 In 2013, the Drumraney Heritage Society commenced a project focused on the Old Graveyard, which had fallen into a deplorable state of decay and disrepair. 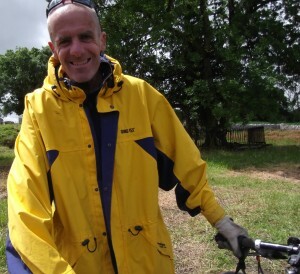 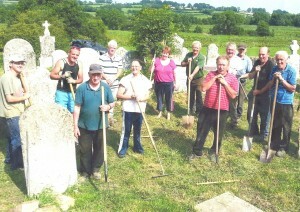 A large number of volunteers engaged in tasks such as grass cutting and the clearing and removal of overgrowth. 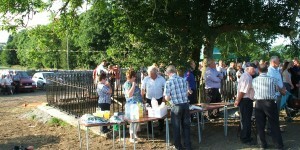 The first phase of this project culminated in an Open Weekend in July. 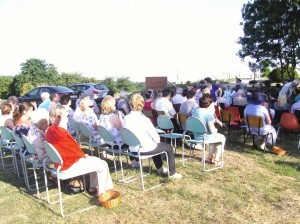 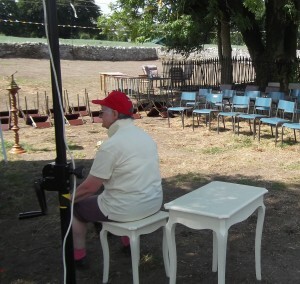 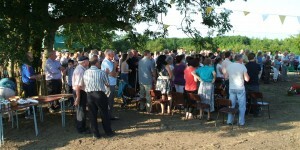 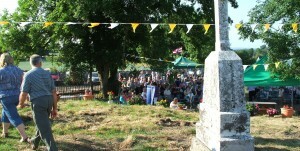 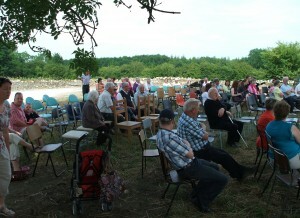 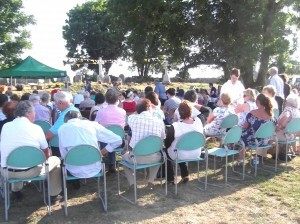 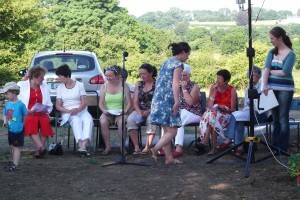 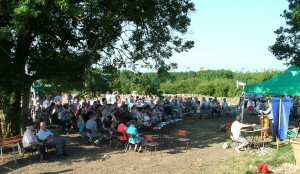 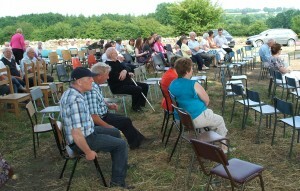 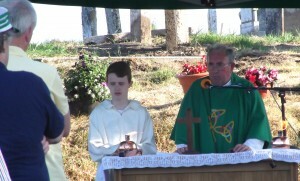 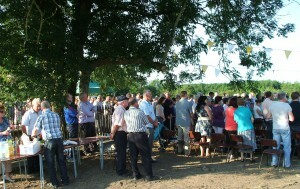 In glorious sunshine, several hundred people took the opportunity to attend a mass, to study a listing of family names transcribed from the headstones and to view the burial ground. 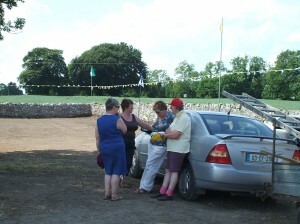 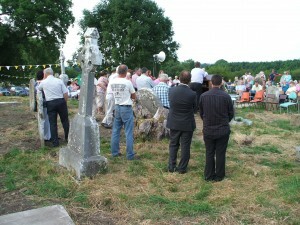 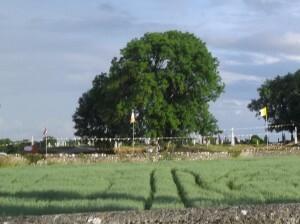 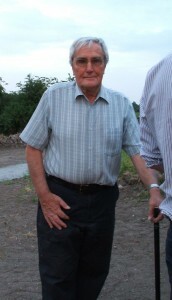 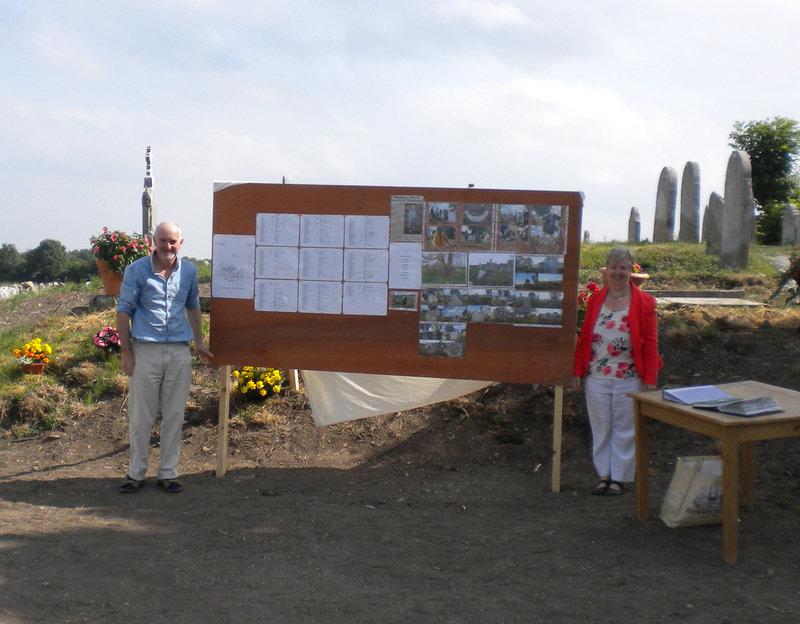 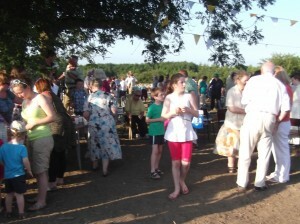 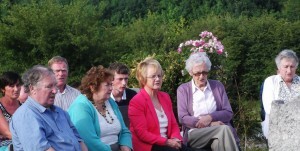 In 2014, the Society continued its work at the Old Graveyard. 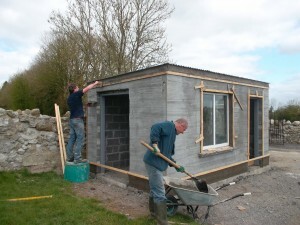 Aside from routine maintenance and regular grass cutting across the large site, the tasks that were completed included the construction of a small storage shed and the photographing of individual headstones. 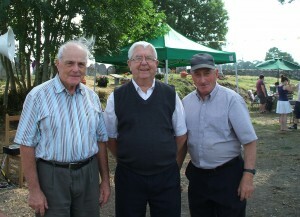 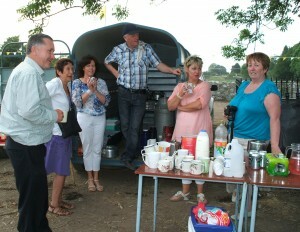 Several locals employed in the community under the Tús initiative helped to supplement the voluntary efforts of the group.